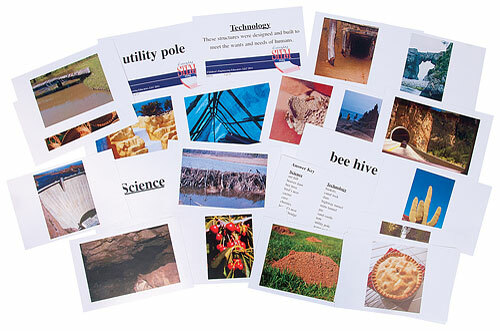 Home > Everyday STEM Structures Card Sort – Science or Technology? Everyday STEM Structures Card Sort – Science or Technology? Help students understand the difference between structures classified under science versus technology with this game. From beaver dams and canal locks to natural bridges and beehives, students are challenged to determine the proper place for each of the 22 cards. Also includes four cards for directions, definitions, and answers.